Small businesses have told the competition watchdog that the legal services market is not serving them properly. Maybe they should mediate! 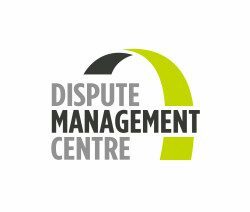 We have set up a service with the Greater Manchester Chamber of Commerce to assist members to deal with disputes in a cost effective, confidential and quick way, avoiding the necessity to use lawyers at an early stage in the dispute. In its response to a Competition and Markets Authority study, the Federation of Small Businesses (FSB), which has 200,000 members across the UK, called for a ‘thorough look’ at the functioning of the legal services sector. The FSB said research that says £100bn-worth of legal needs are still not being met reveals a ‘considerable failure’ of legal services providers to meet the needs of small businesses. 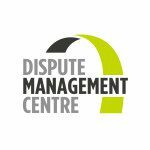 The CMA study, it added, could be the ‘first step along the road’ to a better commercial legal services sector fit for purpose. The response said: ‘Even where a small business realises their issue is legal or has a legal element, their first instinct is often to avoid using formal legal services and to rely on informal advice and resolve it themselves or use existing trusted partners such as their accountants. The FSB said its members were most concerned about high and uncertain legal costs, compounded by their open-ended nature, and by the complexity and associated fear and time commitments. Businesses also worry about the risk of escalation, have difficulty in identifying the right provider and perceive that lawyers do not understand their business. The constraints under which small businesses operate mean they have little chance to evaluate the quality and range of legal service providers and choose the best option. Lawyers are often seen as a ‘last-resort option’ after these businesses first seek self-help solutions or try their accountant. Even when small businesses opt to instruct a lawyer, they complain of a lack of usable data for comparing them. The FSB asks whether structural reforms can be instigated to enable the market to be more responsive to the needs of its members. In our view as a member of the FSB, members should look at using ADR for disputes with customers under the ADR directive, as well as for B2B disputes, but they have not shown much interest since it came in in October. The CMA is also encouraged to look again at the options for redress, with a study of whether the Legal Ombudsman is effective enough and whether its remit needs to be expanded to cover unregulated providers and those providing dispute resolution services. ADR providers already have to have a complaints process and they are certified by a competent authority. The Legal Ombudsman itself has withdrawn from its application to be a certified ADR directive provider. It could not comply with the requirements so how can it pass judgment on other ADR Providers? The CMA is set to make an interim report in July, which will establish whether the legal services market requires a full inquiry. That would then be published around the end of this year.